When Does Termination Become Wrongful or Illegal? Being fired or dismissed from work is an unfortunate experience and many employees regard it as an “unfair” act of an employer. Does this automatically entitle one to a wrongful termination claim? When does termination become wrongful or illegal? Employment wrongful termination occurs when an employee or worker is fired from a company for illegal or “unethical reasons”. So no matter how an employee looks at how “unfairly” he has been discharged, a termination becomes wrongful or illegal, for instance, if a violation against a federal law or statute has been made. In consideration of the strict statute of limitation in a wrongful termination case, the claim must be initiated by a discharged employee right after his termination. The claim must be submitted, with all pertinent documents, to the Equal Employment Opportunity Commission (EEOC) with assistance from an employment lawyer. Generally, the statute of limitation for the filing of claim is 180 days from the date of termination or 300 days from violations which are deemed part of federal and state civil rights violation as basis of one’s wrongful termination. In most cases, liability in a wrongful discrimination claim can be established and proven by looking into possible violations made by an employer against existing federal and state laws, which a victim may sometimes find difficult to do for lack of legal knowledge. However, with the assistance of an employment lawyer, one may find justification for his claim and recover the rightful compensation that he deserves. This article is provided for informational purposes only. 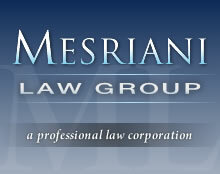 If you need help with an Employment Law Problem, click here to consult with a Rodney Mesriani or an Employment lawyer in your area.